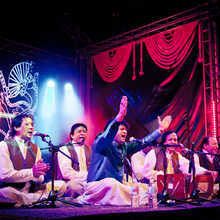 Hailed as the reigning prince of the soulful Sufi music known as Qawwali, Asif Ali Khan has become hugely popular both in his native Pakistan and on the international stage. 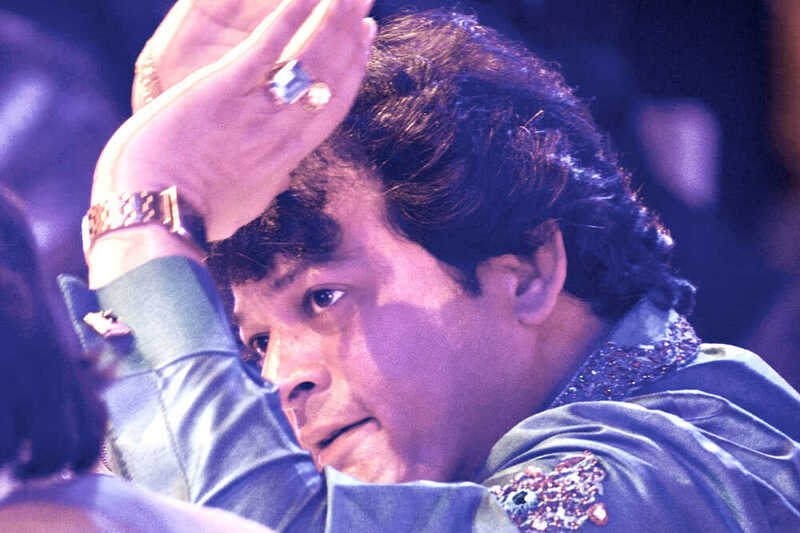 Remaining faithful to the sublime traditions of this devotional music, his songs build from meditative and trance-like to a thrilling and energetic spectacle. 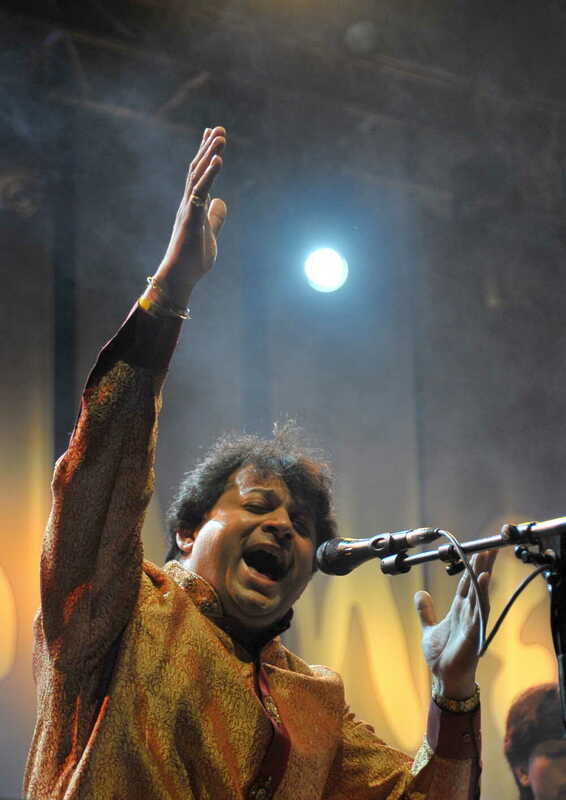 If the late, great Nusrat Fateh Ali Khan was known as 'the emperor of qawwali', Asif Ali Khan - who was once hailed by the maestro as one of his best students - has surely emerged as the music's reigning prince. 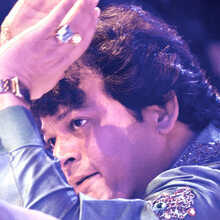 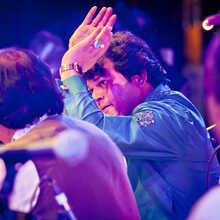 Since Nusrat's death in 1997, Asif has participated in tribute concerts and recordings dedicated to the memory of his teacher, but has developed a style and presence all of his own. 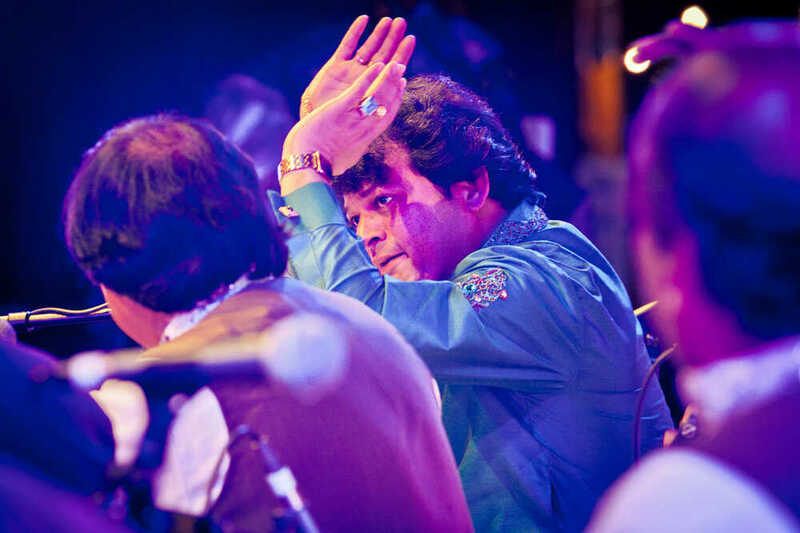 While remaining faithful to the sublime traditions of the devotional Sufi music known as qawwali, Asif is hugely popular in his homeland of Pakistan and a powerful figure on the international stage. 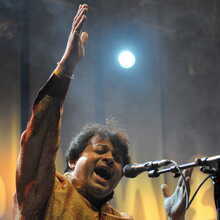 His music can be meditative and trance-inducing, before, at a turn, becoming thrilling and ecstatic. 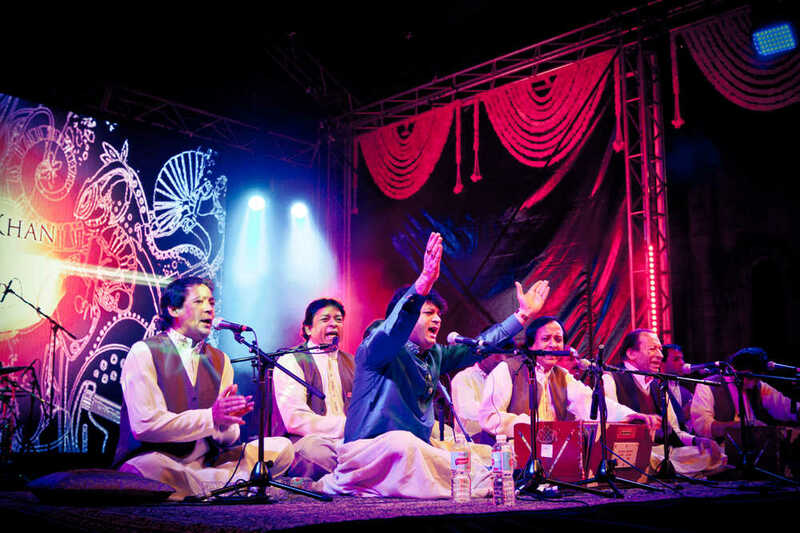 To hear his voice soaring above the call-and-response choruses, rhythmic hand claps, percussion and harmonium of his accompanying musicians is an inspiring experience, whether you're an adherent of the Sufi faith or not.